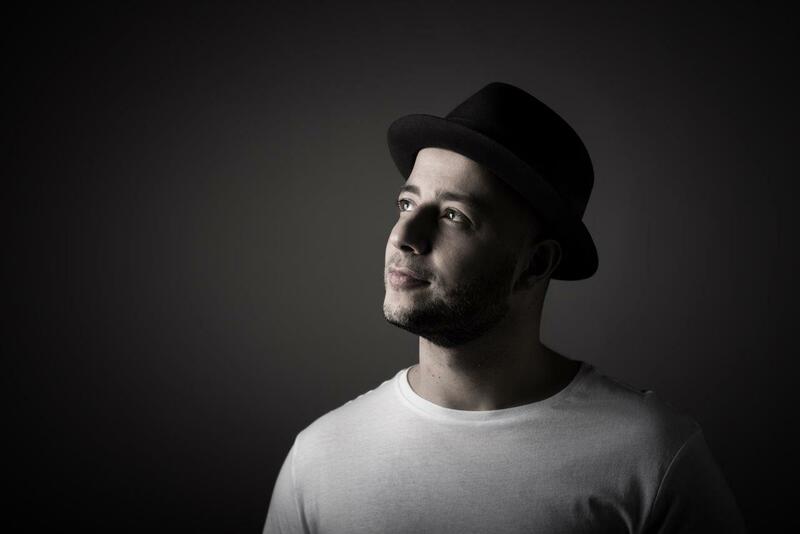 Swedish singer/songwriter Maher Zain has gifted the world with a captivating fusion of East and West that has resonated with audiences across the globe. With music videos topping 1.8 billion views, this icon’s reach in the Islamic music genre is amplified by his call for unity on emotive tracks such as One Big Family. Inner Circle Entertainment now presents this brilliant performer in a showcase titled MAHER ZAIN LIVE IN CAPE TOWN, at Artscape Opera House in Cape Town on Friday, 26 October and Saturday, 27 October 2018 at 8.15pm. Maher will be accompanied by the 45-piece Cape Town Philharmonic Orchestra under the baton of Brandon Phillips. “Following our collaboration with Inner Circle Entertainment in the Symphony of Ghazal two years ago, we are delighted to perform with Maher Zain”, says the Cape Town Philharmonic Orchestra’s CEO Louis Heyneman. “Showcasing international musicians such as Zain, meets the CPO’s goal to expand its reach beyond symphony concerts, opera, ballet, musicals and school concerts to meeting new audiences in cross-over concerts that appeal to a wider spectrum of communities”. The upcoming 2018 concerts will also see Maher Zain fronting his own ensemble, which features musicians from Egypt, Spain, Lebanon, Belgium, Netherlands and the United Kingdom. These Cape Town recitals mark the international debut of an all-new concert format, one that has been especially conceived by Inner Circle Entertainment. Mention the name of this Lebanese-born R&B hit-maker, and one thinks huge numbers. Maher is the most popular Muslim artist on Facebook and the most viewed Muslim artist on YouTube. His Top 5 YouTube videos have clocked up extraordinary traffic – YaNabi Salam Alayka (Arabic) has been viewed 174 million times; Number One For Me has had 87 million views; Insha Allah 76 million views; For The Rest Of My Life 40 million and The Chosen One 28 million views! Understandably, the singer is viewed as a major influencer on social media. He currently has 26.1 million fans on Facebook (http://www.facebook.com/MaherZain), 1.7 million followers on Twitter (http://twitter.com/MaherZain) and 3.9 million followers on Instagram (http://instagram.com/maherzainofficial). The superstar initially worked with renowned producer RedOne (Akon, Lady Gaga), but later chose to make music that reflects his European, Arab and Muslim roots. In early 2009, he left the New York mu­sic production scene, and moved to the Awakening Records record label in the UK. Maher subsequently released three al­bums with Awakening Records – Thank You Al­lah, Forgive Me and One. His Thank You Allah debut was released in 2009 to international acclaim. The album became a multi-platinum suc­cess, reaching Number 1 on Amazon’s World Music charts, Number 8 on the R&B charts, and was certified platinum by Warner Music Malaysia and Sony Music Indonesia – making it the highest selling album in Malaysia in the last decade. In 2012, Maher’s For­give Me release sur­passed the success of previous work. He picked up 25 platinum awards for the CD, with album sales clocking the highest figures in South East Asia that year – enabling him to exceed other international artists like Adele, Pitbull and Jennifer Lopez. Fans were then well-rewarded with his much-anticipated third album, 2016’s One, which featured 15 tracks in English and Arabic and included duets with pop stars Mustafa Ceceli from Turkey and Atif Aslam from Pakistan. Maher sings mainly in English but, has also released some of his most popular songs in other languages. These include Insha Allah, which is available in English, French, Arabic, Turkish, Malay and Indonesian versions. Another composition, Allahi Allah Kiya Karo (Continuously Saying Allah), is sung in Urdu and also features Pakistan-born Canadian singer Irfan Makki. In addition to his musical achievements Maher’s visibility has extended to drama. In collaboration with Sony Music, Awakening pro­duced a 40-episode TV show where Maher fea­tured as a celebrity actor. The production aired on Malaysian satellite and Indone­sia’s SCTV. In 2016 Maher also participated in the first-ever World Humanitarian Summit in Istanbul. The Summit was a global call to action by United Nations Secretary-General Ban Ki-moon aimed at promoting humanitarian princi­ples. The megastar also performed at the 60th Anniver­sary of the UNHCR (UN High Com­missioner for Refugees) Nansen Award in Ge­neva, Switzerland. And his humanitarian endeavours have included participation in delivering flour to the Syrian people as part of the Human Appeal UK initiative, Make Bread not War. The upcoming tour of this Islamic music sensation expands Inner Circle Entertainment’s philosophy of ‘shifting the context of musical expression’. As the leading producer of Indian classical music concerts in South Africa, the production company’s 15-year track record has resulted in world-class performances featuring the likes of Grammy Award-winning percussionist Zakir Hussain, Shivkumar Sharma, Hariprasad Chaurasia, Jagjit Singh and Shujaat Khan. Maher Zain’s visit to South Africa now sees him embrace us into his One Big Family. Cape Town: Friday, 26 October and Saturday, 27 October 2018 at 8.15pm – Artscape Opera House. Concert starts promptly at 8.15pm. Tickets from R150 are available from Computicket outlets nationwide. Computicket Call Centre on 0861 915 8000 and Shoprite Checkers stores.